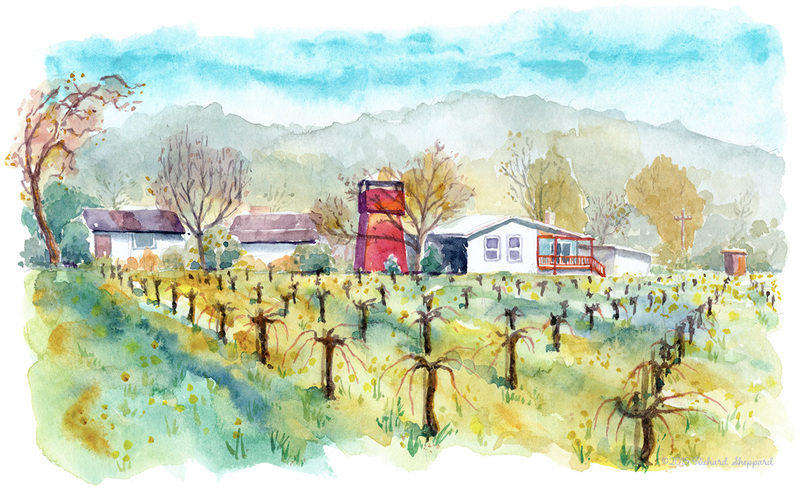 Sketch of Vince Tofanelli’s Vineyard located in Calistoga, CA. On this day, Vince taught me how to prune grape vines which is a fascinating process. From my book Impressions of Wine Country. April 12, 2016 Richard SheppardComments are off for this post.